We Love Steph from Crafting in the Rain. Today she is here sharing a fun art project for Space week. 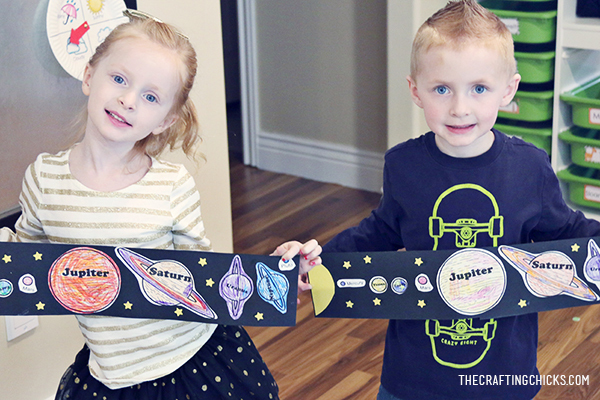 I knew right away what I wanted to do for my post in Space Week here on Crafting Chicks. 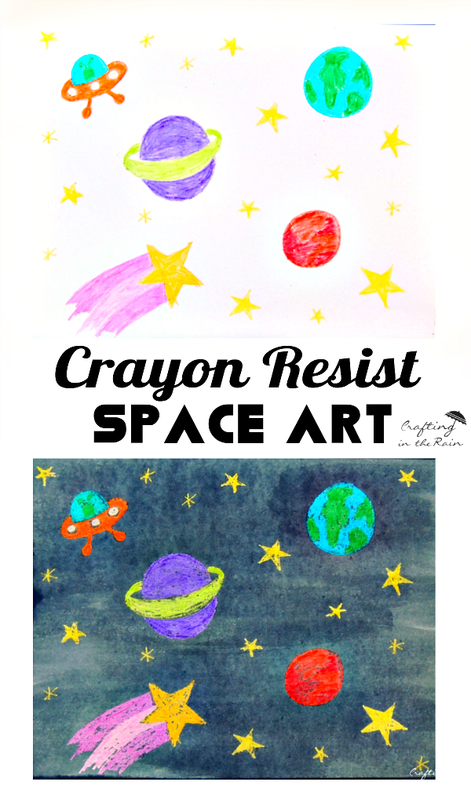 This crayon resist space craft is great for all ages. 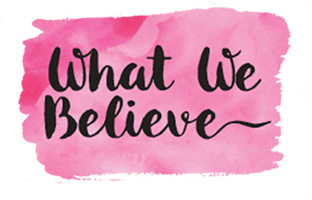 You’ll want to join right in with your kids! 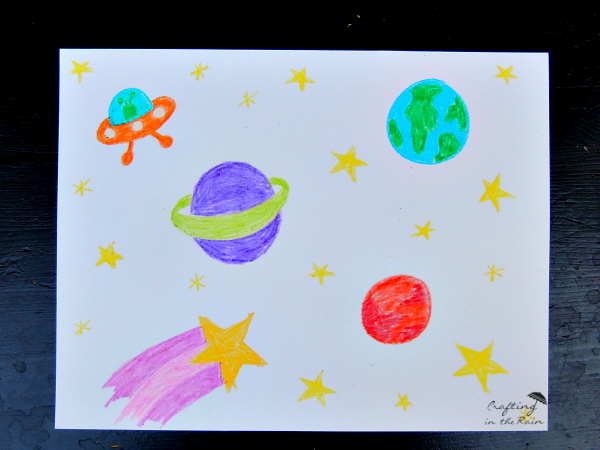 Start by coloring a space scene on the cardstock. 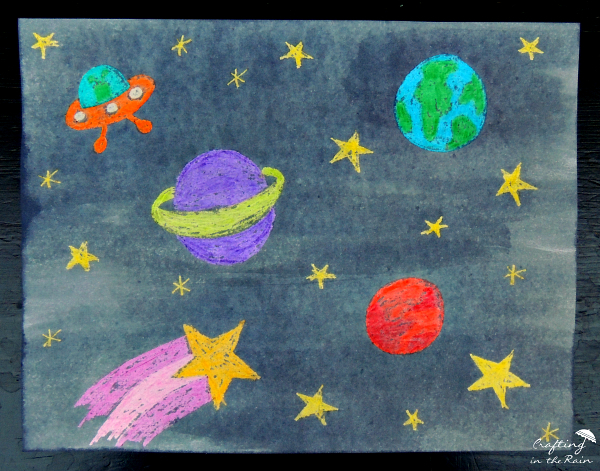 Stars, planets, shooting stars, rockets, aliens, etc. 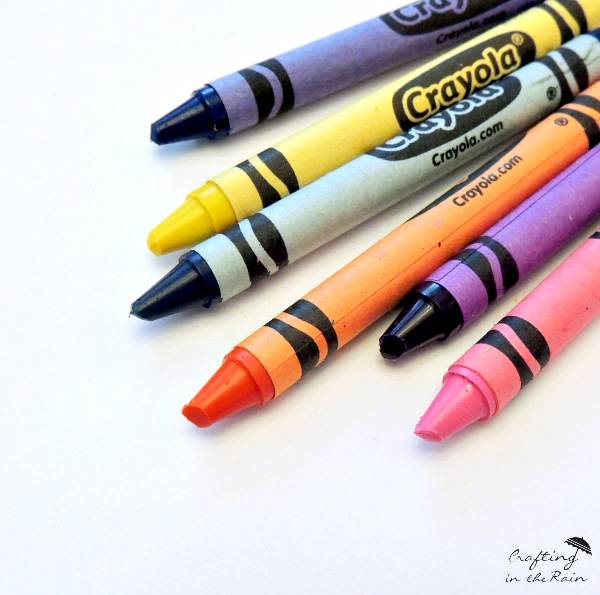 Color them in completely with the crayons. Brush over the whole paper with the black water color. 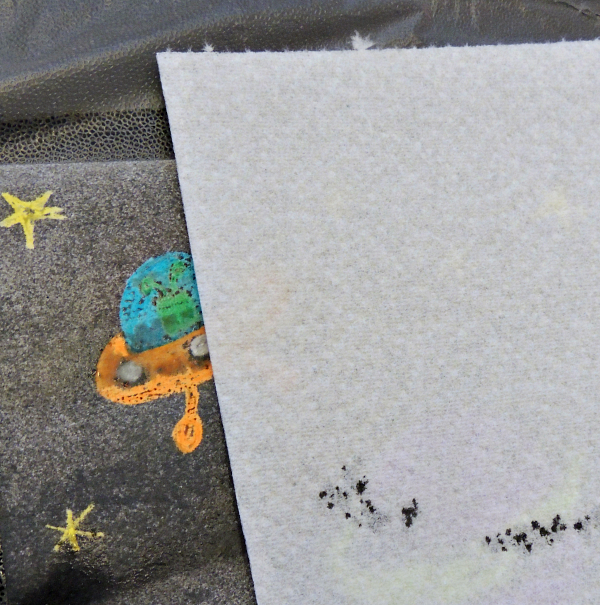 The waxy crayon won’t absorb the paint and it beads up a little. Pat with a paper towel to clean off paint that beads up on the crayon. 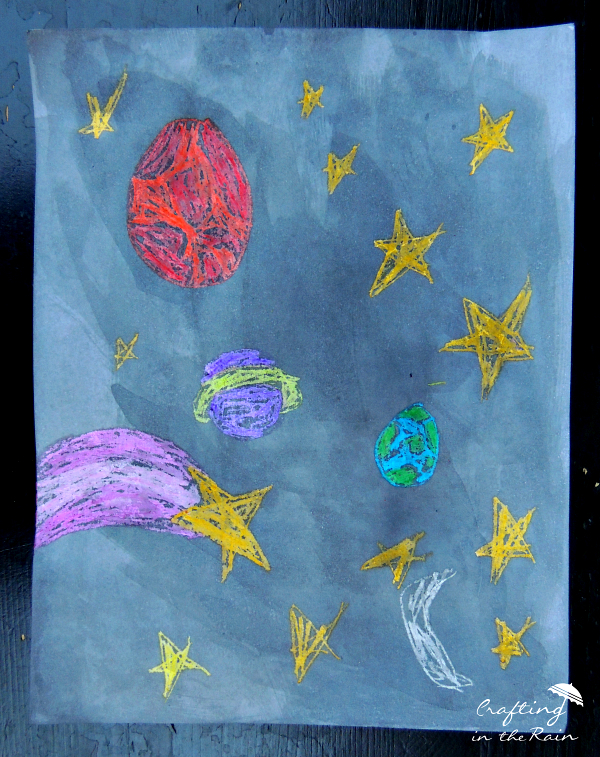 Let dry, and display your beautiful space picture. This is how Asher’s turned out! 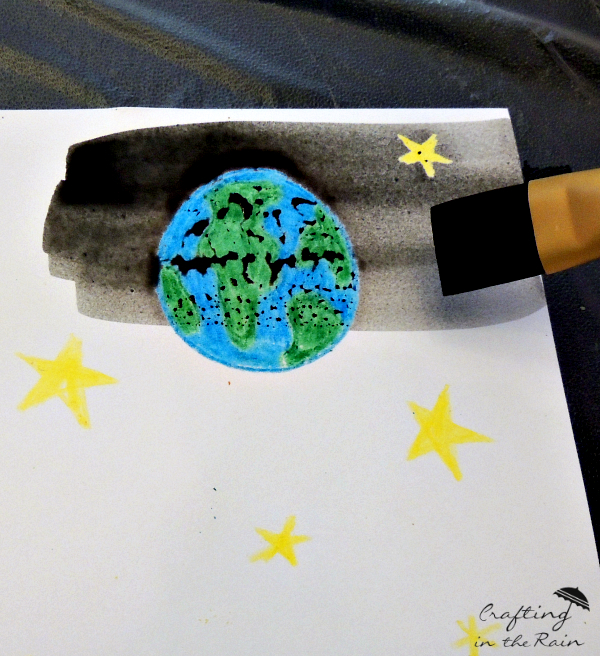 Notice how he used a white crayon to make the moon? Thanks for having me and I hope you’ll have fun with this space craft! 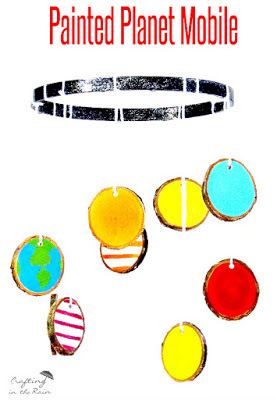 And you might also like this bright and colorful planet mobile I made a while ago.